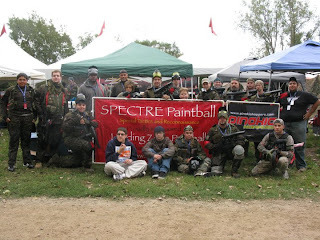 Established in 2008 and operating out of Landing Zone Paintball, Special Tactics and Reconnaissance (SPECTRE) is a corps of players and friends that have the common goals of attending games across the United States, achieve victory by using practiced tactics and abilities, have fun doing so, and shed some positive light on the paintball community. Specializing in force recon with direct action capabilities, close quarters battle, and anti-tank operations, SPECTRE can be relied upon to complete any task given to them effectively and efficiently. 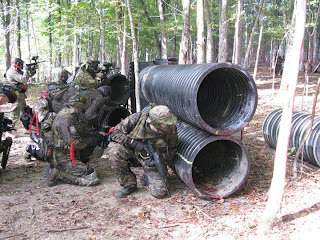 SPECTRE didn't send me this video, but I found it on their website. Props to you guys for helping out a great cause!